"I had concerns that the HD2 was simply going to be too big. The initial pictures gave me the impression that it couldn't be comfortable to carry, hold or use. I'm glad that first impression was way off target. I found the HD2 very comfortable, and the large 4.3-inch screen a joy to use. 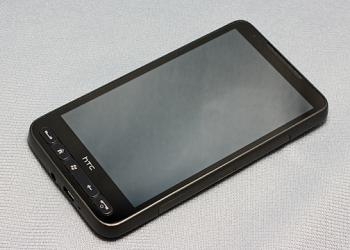 The capacitive screen is nice, but had HTC chosen a resistive screen, I believe the HD2 would still be a solid performer. Call quality is very good and the Snapdragon processor moves things along nicely." WMExperts recently gave the HD2 a spin, and liked what they saw. Unfortunately, for those of you in the US, it's not all that US-friendly at the moment, but hang on to your seats because a US-friendly version of this snappy Snapdragon-based device is expected to land sometime this quarter.